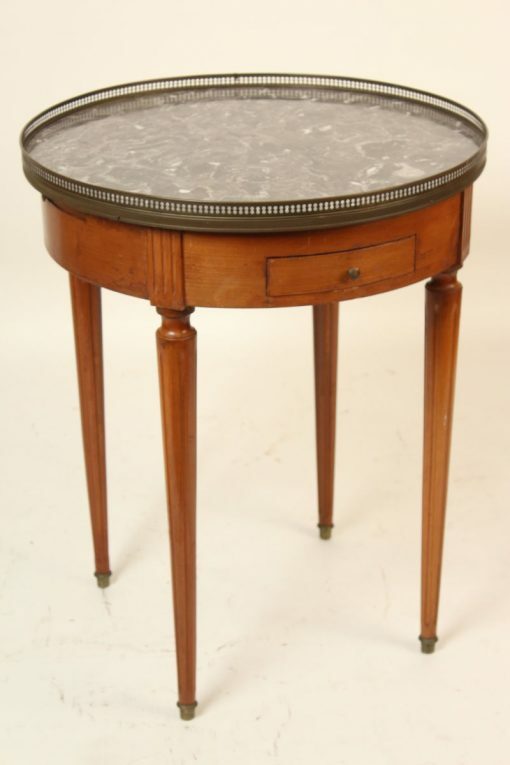 Louis XVI style fruit wood bouillotte table with marble top and brass gallery, circa mid 20th century. Height to top of brass gallery 30″. Height to marble top 29″. Diameter 24.5″.